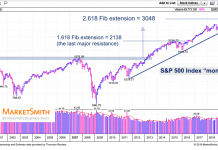 This article was written by Andrew Fleming, CFA – Portfolio Manager. We expect the market to continue to gravitate towards domestically-focused businesses, inflation beneficiaries, and companies with low debt. Faced with a barrage of tough trade rhetoric, a flattening yield curve and inflation heating up, investors struggled to embrace the economic strength hiding in plain sight. 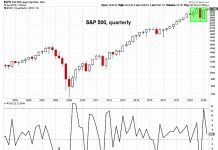 The result was an uptick in volatility and swings in risk appetite as investors tried to anticipate whether the economy would continue to blossom or if it had already peaked. 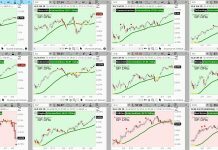 Some of the early winners of the debate include domestically-focused, cyclical areas of the market and businesses poised to benefit from a continued rise in commodity prices. Conversely, internationally-focused, slow-growth, high-yielding industries have faced multiple headwinds as input costs and interest rates continue to climb. Growth in the US has been accelerating, especially compared to the rest of the world, and consumer confidence has been at multi-decade highs. At the same time, US small-caps are more insulated against threats of a looming trade war, and should provide investors nice exposure to the strong US economy without being overly exposed to international trade tensions. The vitality of the US business climate, in our view, is underappreciated. With economic activity accelerating, we believe raw materials and businesses tied to the production of commodities (inflation beneficiaries) will move higher. 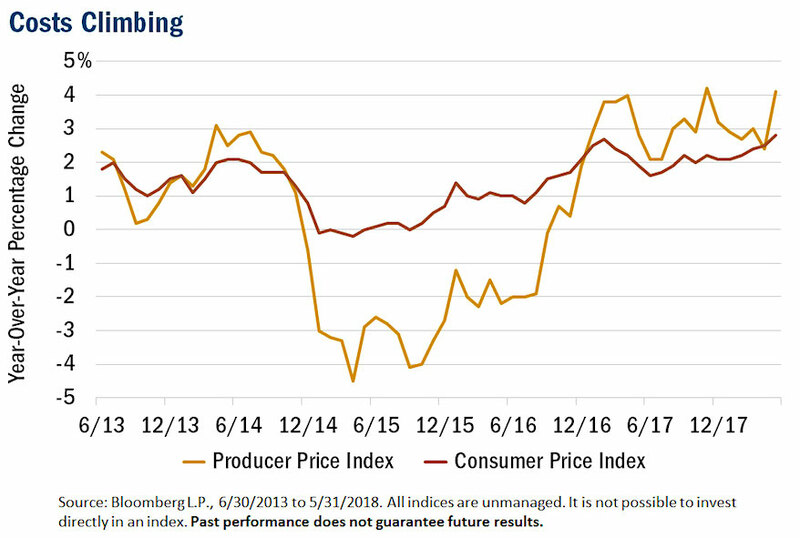 Conversely, companies that lack pricing power or those that rely on commodities in the production of goods could face margin pressure in the quarters ahead as their input costs continue to rise. On a company-specific basis, we continue to focus on those with “self-help” initiatives in place to cut costs/expand margins on flat sales and the ability to accelerate earnings on modest sales growth. We also remain allergic to debt. As rates rise, companies with weak balance sheets could face significant stress. This is something that we’re acutely aware of when constructing our portfolios. In sum, we expect the market to continue to gravitate towards domestically-focused businesses, inflation beneficiaries, and companies with low debt. The reign of large-cap companies that have binged on debt may be winding down—it may be time to embrace small and stick close to home. Thanks for reading. Heartland Advisors Disclosure: Past performance does not guarantee future results. Investing involves risk, including the potential loss of principal. There is no guarantee that a particular investment strategy will be successful. Value investments are subject to the risk that their intrinsic value may not be recognized by the broad market.